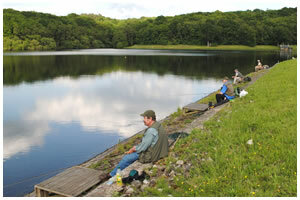 Iden Wood Fisheries is a well establised fishery that is made up of 4 man-made lakes and 2 natural lakes. The 4 man-made lakes are the top Spring Lake, the 2 match lakes just below the Spring Lake and the tench lake just below the second match lake. 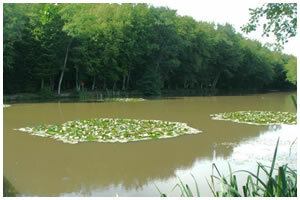 The Specimen Lake is a natural lake. Located by the little village of Laughton in the Wealden District of East Sussex are two picturesque coarse and carp fishing lakes. The lakes include Longreed a specimen carp fishing lake that is stocked with carp to 37lb and Ashreed a 1 acre lake that holds a large number of carp and perch. 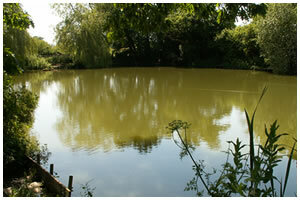 Mericks Fishing Lake is a 1 1/2 acre lake set at the foot of rural Icklsham farm fields. The triangle shaped lake has thick wooded trees one side, a field opposite, and a dam wall at the far end. There are many overhanging and fallen trees on the wooded side. 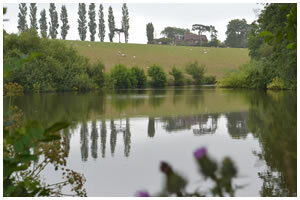 More House Farm Fishery is a day ticket water located by the small village of Wivelsfield, in the East Sussex countryside. 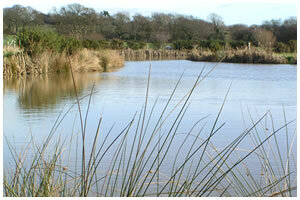 The fishery is made up of 3 fishing lakes that cater for both match and carp anglers. Kingsfisher lake holds specimen carp to 37lb. 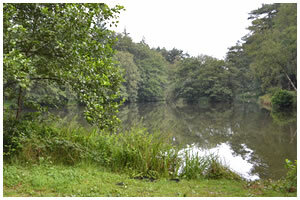 Fishery has 2 coarse fishing lakes. 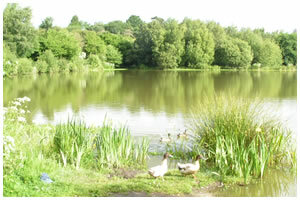 Moor Hall Pools are two scenic lakes set on a tranquil rural countryside farm in the quiet village of Ninfield. The pools have some great views that overlook surrounding countryside but are slightly spoilt by power pylons. The top pool (above photo) is about an acre in size and the bottom is a slightly larger. 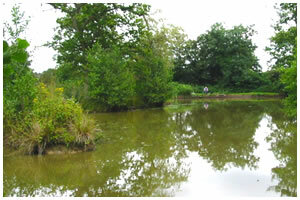 Mount Farm fishing lake is a water controlled by Copthorne Angling Club. The lake is fairly small at an acre in size, holds a good number of carp. 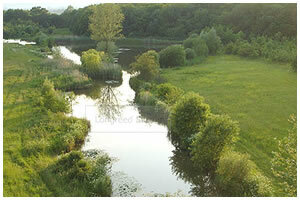 Newick Lane Lake is a small 3/4 acre lake that is filled with features: overhanging trees, reeds and lilly pads. The water has depths that range to 3-5 feet. Newick Lane Lake is located between Crowborough and Uckfield. 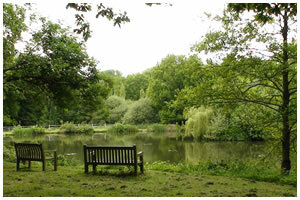 Normanhurst is a picturess 5 acre kidney shaped lake located in Broomham wood in Catsfield. The water and surroundings support a lot of wildlife. Normanhurst is a profolific water that holds a large number of fish for the match fisherman with some huge tench to 8lb+, and many double figure carp. 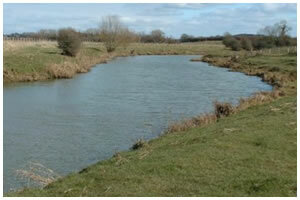 North Farm Pool is a picturesque and peaceful 3 acre water that is located between Hellingly and Horam. This club fishing venue is stocked with common, ghost and mirror carp into the high doubles, large eels, good sized perch, roach, rudd, bream and a few tench. The lake has many features to fish. Oast Farm Fishery is a small pond that is stocked with a number of fish including carp to nearly 20lb and some good sized roach and rudd to 1lb 8oz. The pond is about 1/4 of an acre in size. The farm also offers fruit picking in the summer months and has a large farm shop providing a range of food and drink. 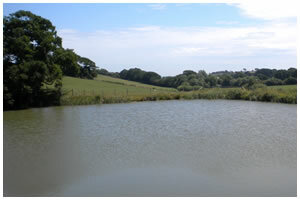 Located in the village of Pett, East Sussex is Pannel Lane fishing lake. The water is an irrigation lake that is just over one acre in size and extremely deep with depths up to 14 foot. The lake is no longer a Clive Vale Angling club water. Pennybridge lake is located in Crowborough near the town centre. The lake was created five years ago using lottery funds and covers 1 acre. 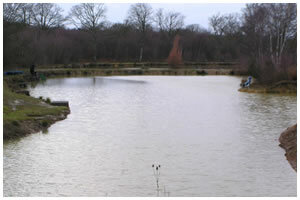 The water is controlled by Crowborough and District Anglers Club. 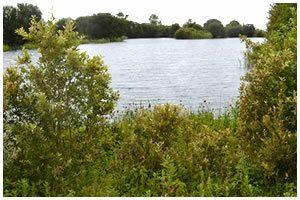 The lake contains some large tench that reach 7lb, bream to 4lb, roach, perch and crucian carp. 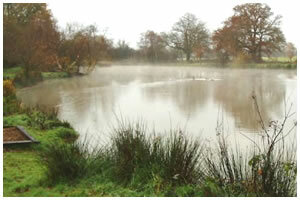 Piltdown pond is a large 4 acre picturess pond located about two miles north-west of Uckfield. 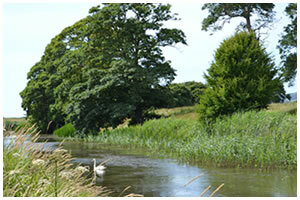 The water is now in the control of Copthorne & District Angling Society (C&DAS). The water holds some large carp to 31lb, tench to 7lb+, bream to 6lb, roach, rudd, perch to 3lb, eels to 5lb 8oz and some large pike to 28lb. 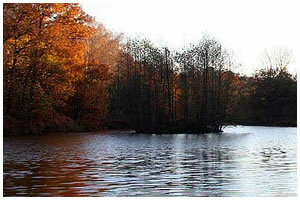 Pippingford lakes (members only) are located on Pippingford Estate in Nutley. The lakes are set in the heart of England's beautiful Ashdown Forest within 1000 acres of beautiful parkland, Pippingford makes an ideal location for Corporate Events and Fishing Holidays. The Estate is made up of six lakes. 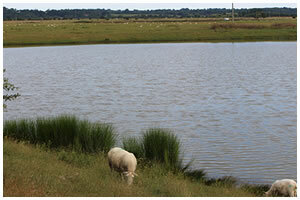 Point Field Pit is a 3 acre Fishing lake that is located near the village of Camber, East Sussex. The lake was newly acquired by Clive Vale in 2013 and is an unknown water, the lake does hold carp to 25lb+, eels to over 5lb and rudd. Powdermills reservoir is a 56 acre reservoir located in the heart of the peaceful Sedlescombe countryside. Powdermills reservoir is a well stocked trout fishery that holds some large fish with stocking taking place on weekly intervals. The current rainbow trout record is 15lb. The River Ouse runs from Lower Beeding in West Sussex down through Barcombe Mills from here the river is tidal to the Sea at New Haven. This lower section of the river has strong currents and has been susceptable to flooding, the upper section is fairly slow flowing. The River Uck is one of the main tributries flowing into the River Ouse. The river is rich with life which can include mussls and fresh water shrimps. Fish species you may come across includes Trout, Carp, Barbel, Perch, Pike, Grayling, Bullheads, Stone Loach,Tench along with the more common fish species found in UK rivers. The River Uck is a slow flowing river located in East Sussex that starts flowing from Crowborough. 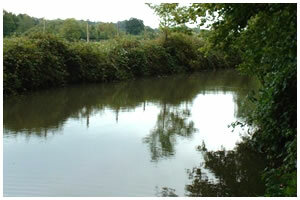 You will find the usual fish species on this water Roach, Rudd, Tench, Carp, Trout... also popular for Pike fishing . The Royal Military Canal was built around the early 1800's for defense in response to a possible invasion by Napoleon. Defensive towers were positioned along the canal. 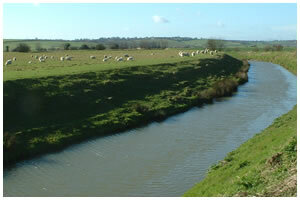 The 28 mile long canal runs from Seabrook in Kent along to East Sussex. The Military Canal holds usual array of freshwater fish found in rivers around the UK with some large Carp and Pike, Perch, Eels and Tench. This scenic water supports a variety of wildlife that includes Mute swan, Kingfisher, heron, the endangerourd water vole, mink, glow worms and frogs. The river also large patches of lily pads that looks stunning when in bloom with a blanket of yellow covering the river. 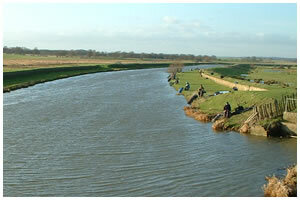 Rye Nook is made up of 4 fishing lakes located just before Rye Harbour half way along Harbour Road. Rye Nook is a mixed fishery that supports some huge specimen fish with carp to 30lb+, bream to 4lb 8oz, tench to 8lb, roach to 2lb+, large dace to 12oz, perch to 2lb, and extremely large eels.